There are no current alerts in this area. Yambo Forest Road in Jilliby State Conservation Area is not suitable for 2WD vehicles due to rain and vehicle damage. 4WD access is possible from Dooralong Road through to the Lemon Tree Road intersection. Lemon Tree Road remains closed. For more information, call the NPWS Munmorah office on 02 4972 9000. Middle Ridge Road is closed from the intersection of Null Road. No vehicle or pedestrian access to Ravensdale Road. This trail is dormant and not open for public use. Penalties apply for non-compliance. For more information, please contact the NPWS Lakes area office on 02 4972 9000 or visit the NSW National Parks safety page for park safety guidelines. NSW Roads and Maritime Services are undertaking essential maintenance work on Mooney Mooney Creek Bridge, Old Pacific Highway. Users of the Great North Walk may experience temporary delays at this location between 7am and 6pm, Monday to Friday and between 8am and 1pm on Saturdays. The anticipated completion date is August 2019. For further details about the proposed maintenance work, visit the RMS project webpage. Alternatively, contact the NPWS Central Coast area office on 02 4320 4200 or by email. 1080 fox baiting program will occur from Friday 1 February 2019 to Wednesday 31 July 2019 in Ku-ring-gai Chase National Park. The 1080 poison (sodium fluoroacetate) will be buried baits or ejector capsules which are laid on tracks and trails. Do not touch baits or ejector devices as they contain poison. 1080 is lethal to dogs and cats, and pet owners are reminded that domestic animals are not permitted in national parks. Penalties apply for non-compliance. For further information during business hours please call the NPWS Sydney North (Forestville) area office on 02 9451 3479 or visit the NSW National Parks safety page for park safety guidelines. Watagan Forest Road in Jilliby State Conservation Area and the southern section of Wyong State Forest is not suitable for 2WD vehicles due to rain and vehicle damage. 4WD access is available from the Jilliby Road access in the south, north to the Middle Ridge Road Intersection. Watagan Forest Road within Jilliby State Conservation Area is now not suitable for 2WD vehicles due to rain and 4WD damage. Drivers of 2WD vehicles are advised not to drive south along Watagan Forest Road from the Martinsville Hill Road intersection. Red Hill Road in Jilliby State Conservation Area is only accessible by 4WD vehicles between Red Hill Quarry in the north and the intersection of Prestons Ridge Road in the south. For more information, please call the Central Coast Lake Munmorah area office on 02 4972 9000. Maculata fire trail west from Jilliby Road linking to Daniels Point fire trail and Watagan Forest Road are closed due to 4WD damaged roads and trails. There is no through road access across Little Jilliby Jilliby Creek in either direction. Penalties apply for non-compliance. For more information, please contact NPWS Lakes area office on (02) 4972 9000 or visit the NSW National Parks safety page for park safety guidelines. Roads in Jilliby State Conservation Area are unsealed, and accessible by 2WD in dry conditions only. 4WD's should be used at all other times. Gates may be temporarily closed on some roads, for roadworks, to prevent damage when wet. For more information, please call the Central Coast Lake Munmorah area office on 02 4972 9000. Lemon Tree Forest Road, between Prickly Ridge Road and Yambo Forest Road, in Jilliby State Conservation Area is closed to vehicles. This closure will remain in place indefinitely due to severe erosion. Penalties apply for non-compliance. For more information, please contact the NPWS Lakes area office on 02 4972 9000 or visit the NSW National Parks safety page for park safety guidelines. 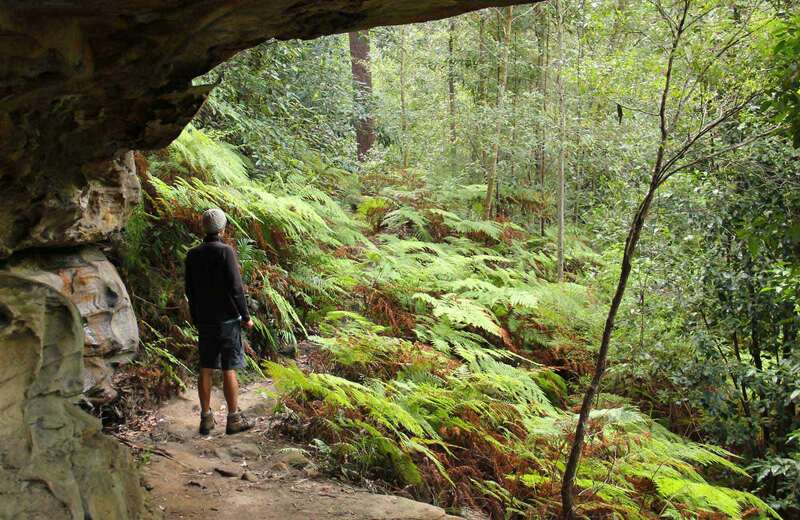 Dharug National Park is always open but may have to close at times due to poor weather or fire danger. Contact hours: Monday to Friday, 9.30am to 4pm. For the latest information on wildfires in your area please contact the NSW Rural Fire Service.